It was a, without any doubt, a bad weekend for football. 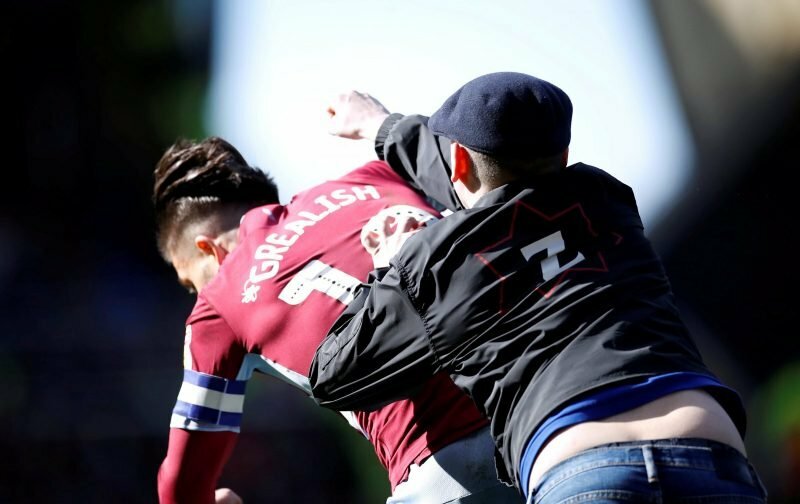 Whilst some matches have enthralled those watching, the weekend will be remembered for three instances of fans encroaching not only onto the pitch but also believing it was the acceptable thing to do to try and throw a punch at a player. The madness started on Friday night when the Glasgow Rangers player, James Tavernier, was attacked by a Hibernian supporter and continued on Sunday when, in two high-profile games, first the Aston Villa midfielder Jack Grealish was struck by a pitch invader and then Manchester United’s Chris Smalling suffered the same fate, at St Andrews and the Emirates Stadium respectively. The trio of instances has, quite rightly, gotten the media up in arms and I’m grateful that none of them involved Chelsea, otherwise the media, as we all know, would have had a field day. Quite what the authorities can do to stop this latest round of idiocy remains to be seen. I’m quite certain we’re not going to see a return to the days when fences separated those watching the game from the action and I certainly don’t want to see the perimeter of the playing area surrounded by stewards or police. All we can hope for is that those who offended are treated with the contempt they deserve and are gaoled, a lesson needs to be learned with regards to anyone thinking of doing something similar.